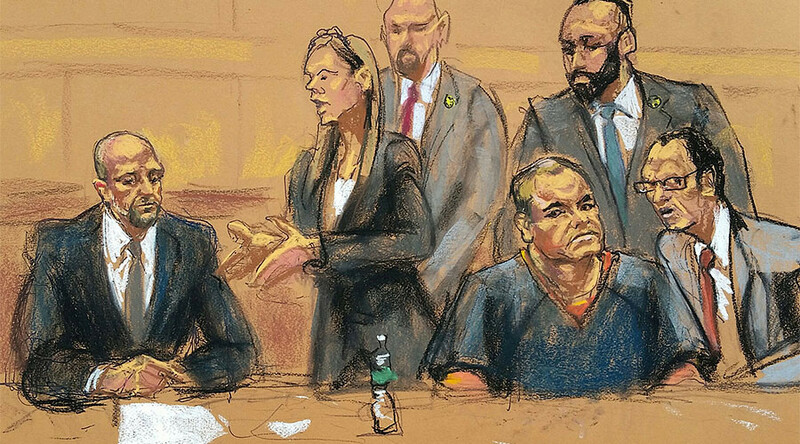 Notorious drug kingpin ‘El Chapo’ appeared in a federal court in Brooklyn facing 17 charges relating to drugs, homicide and money laundering. 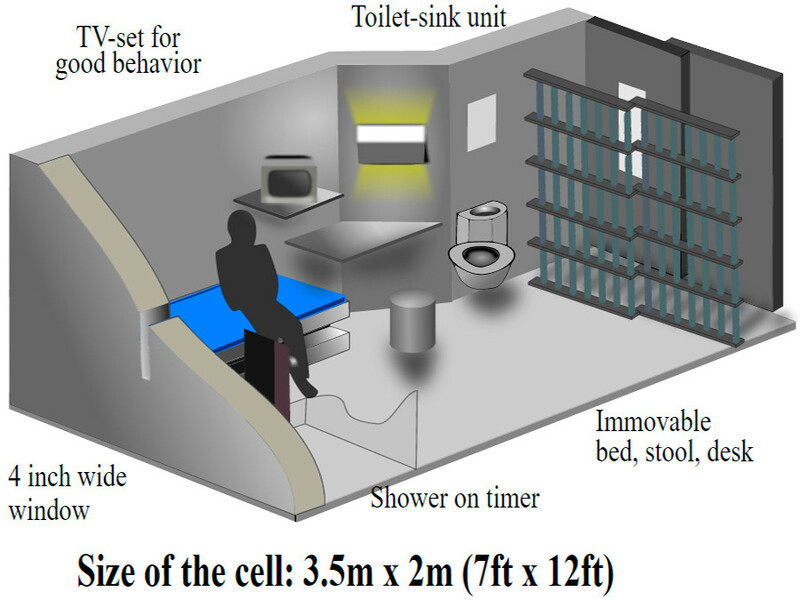 If convicted, he faces life imprisonment in a ‘supermax’ prison – if he doesn’t escape, that is. Joaquin Guzman, otherwise know as ‘El Chapo’, was flanked by six marshals when he entered court for the brief appearance Friday morning, while another another five stood close to the court’s entrance, CBS News report. An unrestrained Guzman, with both his head and beard shaved, smiled and waved at his wife when he entered. The so-called ‘Osama bin Laden of Drug Trafficking’ is charged with running a $14 billion drug smuggling empire out of Mexico, while overseeing numerous murders and kidnappings, from 1989 to 2014. He has pleaded not guilty. Since being extradited to the US last month, he has been held in solitary confinement for 23 hours a day at the Metropolitan Detention Center in Brooklyn. He has been unable to contact his family or lawyers since being imprisoned, according to his legal representatives. 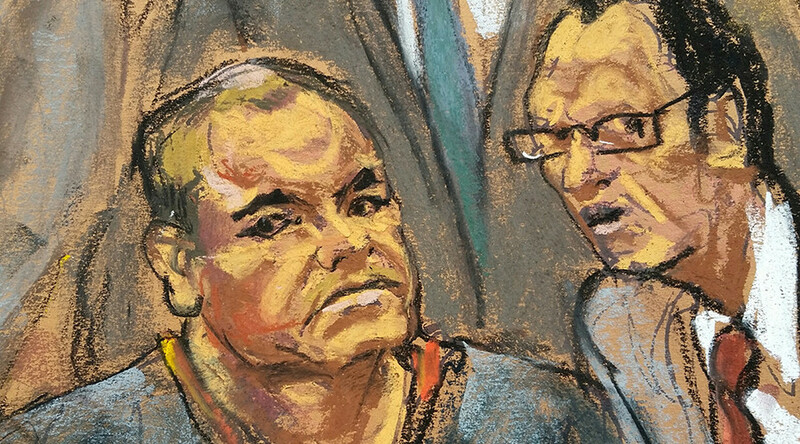 As part of the extradition deal with Mexico, the former leader of the notorious Sinaloa Cartel cannot receive the death sentence, and is instead likely to face life imprisonment, as well as having to forfeit $14 billion in assets. “Those guys at Guantanamo had it much better than we did,” the ex-inmate told Reuters. In 2016, the prison was included on a list of potential sites the White House was considering as an alternative destination for the remaining detainees at Guantanamo. If placed in ADX, ‘El Chapo’ will find himself alongside the likes of convicted Boston Marathon bomber Dzhokhar Tsarnaev, as well as Ramzi Yousef, the mastermind of the 1993 bombing of the World Trade Center in New York. Terry Nichols, who was convicted of the 1995 bombing of the federal building in Oklahoma City, ‘Unabomber’ Ted Kaczynski, and Michael Swango, a former doctor who killed an estimated 60 of his patients, are also held there. Based on El Chapo’s history, it’s possible that he will test the prison’s reputation of being inescapable. Over the past 15 years, Guzman has managed to escape from two maximum-security prisons in Mexico. Having spent eight years in the notorious Puente Grande prison near the city of Guadalajara, he managed to sneak out in 2001 by hiding in a laundry basket. It’s thought Guzman had an estimated 78 accomplices and reportedly spent $2.5 million orchestrating the escape. ‘El Chapo’ then disappeared for 13 years, until his recapture in 2014. He was placed in the Altiplano Federal Penitentiary. This time, he only lasted 17 months in the prison before going ‘full Hollywood’ and tunnelling his way out of prison. Spending an estimated $50 million on the escape, most of which went on bribes, ‘El Chapo’ organized a ladder which led down from his prison cell shower to an underground tunnel, 10 meters (33ft) deep and 1.5km (1 mile) long. The tunnel led to a half-constructed empty house in the fields. It’s thought numerous prison guards colluded with Guzman in his efforts. Following his arrest in January, there have been a few offers made to assist El Chapo in another escape attempt. Inmates in a California prison posted a video to YouTube saying they were “going to take care of him,” although the men are located in a different state. “We want to tell the people this: If you bring ‘El Señor’ here and if ‘El Señor’ asks us to free him, we are going to take him out immediately,” Chuckie adds.